How do i fix these shiny wheels and screwed up paint? I've been trying to figure this out with no luck. I've been converting another model with the same problem. Some sort of texture conflict. You most likely have 2 '.ytd's for that same vehicle with different textures in them. Make sure they are all the same file. Same as above but possibly with 'vehshare.ytd' (depends on where your vehicle gets it's tire texture from?) If it's from it's own '.ytd' the 'Bodywork' fix above should fix it. If not make sure ALL the 'vehshare.ytd's in your game are the same file. You may have to merge (use 'import' (top right) in OpenIV texture viewer) them together to make sure the one file has all the vehshare textures you require for various vehicles/tire mods etc. Shouldn't be affecting that car unless it is a replace of one of these vehicles? I don't have 2 ytds. I tried to make sure i don't have 2 of the same textures in the ytd and everything is fine. I have no clue why it's doing this. Edit: It looks like it's only when i get in the vehicle.. When i'm outside of it it's fine? I take it you don't have NVR installed either? Edit: Interesting. (only happens when you get into it?!). 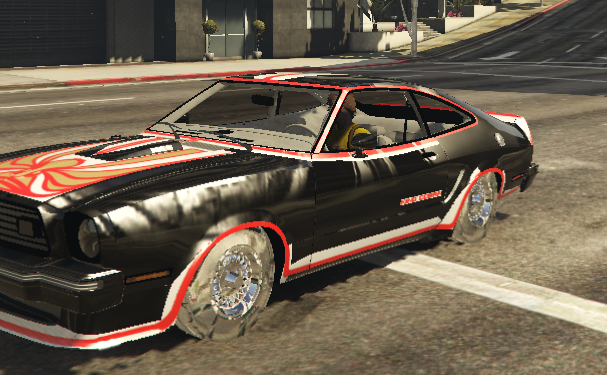 If it's the Ford Mustang King Cobra 1978 I can confirm that it does indeed function perfectly as an add-on (some vehicles don't like being converted from replace to add-on etc but I just converted this one & it works perfectly). So the issue is either with your game or the files you have edited. Did you check that ALL of the 'vehshare.ytd's are identical & contain all the vehshare textures your game might need? I'm making my own conversion from GTA SA with zmodeler. I fixed it, but the only thing left is the lights..
Just so you know, if you click on the 3 little dots on the bottom right-hand side of your 1st post in this thread you can edit your post & also the Title of this thread. I would say it would be a good idea to put 'ZModeler Conversion' or something in there & possibly change it to reflect the light issue you now have.